For over 13 years, I have been teaching Mothers how to massage their Newborns – sharing with them the traditional art of Baby Massage. Both my children were massaged when they were my bundles of joy. As I write this blog, my first born is in his final year of University, and I often find myself daydreaming of the sleep deprived time I massaged his tiny little feet, wondering how my baby boy grew up to be a Man so quickly. 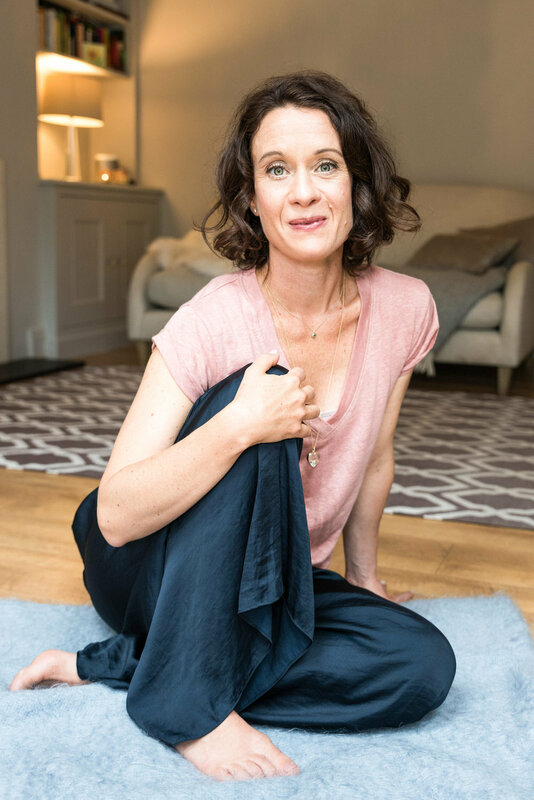 Autumn has been such a beautiful time for refection for me, and I wanted to share some benefits of this traditional Art - and share some insights into the course that I share with other Mothers – knowing that 20 years down their Mothering line they will also reflect back on tiny little feet and the passage of time. Baby Massage has been a common practice in many cultures for hundreds of years. The use of massage for babies has it roots in Ayurvedic medicine in India, dating back to as far back as 1800 BC. Even today in some regions of India, babies are still massaged for 10-20 minutes, morning and evening until they are 6 months old. Baby massage is the gentle rubbing and movement of baby's arms, legs, feet, chest, tummy and back. Using a simple natural non-fragranced vegetable oil, the mother (father) uses gentle soothing, rhythmic stokes on each part of the body; helping to relax both parent and baby and enhance that loving emotional connection which is formed and strengthened over time. Baby Massage is so much more than simply learning massage strokes for your baby. Touch is a language we learn before we speak, and being held, touched and massaged is a natural intuitive way to nurture babies as they learn to adjust to the world from the womb and to support their physical and emotional development. Over 600+ scientific papers have been published on the effects of human touch on babies & the research studies have revealed that responsive care and secure attachment is absolutely vital for the physical and mental health and wellbeing of babies (Schore & Sigel). Babies are designed to be in close contact with their mothers. Their neurological wiring is so unique that skin-to-skin contact, immediately after birth and in the early weeks of life, promotes the release of very specific hormones - endorphins, oxytocin & serotonin, often referred to as ‘love hormones’ - in both mother and baby that is essential for healthy development as well as promoting relaxation and nurturing a sense of love & security. Research tells us that Babies that are in frequent skin-to-skin contact with their mothers, such as the experience with baby massage tend to be: calmer and more alert, better regulate their body temperature, better organize their sleep/wake cycles and breastfeed better. Baby massage can also help to strengthen and regulate the digestive system helping to relieve the symptoms of colic and constipation and it also teaches babies how to be aware of their body`s tension and how to release it. Massage is a wonderful way to help babies to feel safe and secure, through the harmony of needs being met and a lifelong bond of love and trust being built. Baby Massage is a powerful way of showing respect, tenderness, and warmth, and with the parent’s listening heart, ensuring their basic human right for nurturing touch is met. Helps calm babies' emotions and relieve stress; this can break the anxiety-pain cycle in windy and colicky babies with subsequent improved digestion. Constipation may also be relieved. Mums learn and share with other mums so that they may refer to each other as resources, models and positive reinforcement of mothering behaviours and roles. Baby Massage offers Mothers skills to respond to their new babies in positive and enjoyable ways. Whether pregnancy has been easy or not, the early weeks and months create a foundation that has far reaching benefits for parents and children later in life. My intimate group classes are run over a 4 week period and bring Mothers together in a safe and friendly environment, encouraging newborn parents to share their feelings, emotions and experiences without judgement or criticism. During our time together, Mothers are taught how to understand and recognise their baby’s needs and desires by simply playing with and observing their individual baby. The environment is always relaxed and supportive, and the Mothers in the circle gain confidence in their parenting skills as they help, and support each other. Massage is taught at a gradual pace, and we also enjoy a shared relaxation with the babies at the end of each class, and mothers and babies very quickly learn to enjoy this quiet and restful cuddling time. Providing a contrast to the busy and demanding life as a new parent, the classes provide a relaxed environment where support is given by just being there. Additional information on my Semi-Private Group course can be found here. If you would like to arrange a private 4 week course for you and a group of NCT or other friends, please contact me. I can arrange to come to your home to deliver the course to you all. Usually a group of 6 is acceptable for a 4 week course. Oil and handouts are provided. Thank you the Baby Massage classes I attended with with Ruby. I wanted to let you know that I have been also using the massage techniques I learnt on my son Jack who is 5. And he loves it so much he asks for it! Ruby is going through a busy stage but Jack loves it, so much so that we have allocated a Thursday night as his massage night - Massage Thursdays - after Ruby has gone to bed. It’s a lovely little bonding moment. So thank you for that! Let choice whisper in your ear and love murmur in your heart.